The big cats are coming out to play, with large sailing and power catamarans gaining charter popularity in destinations worldwide. 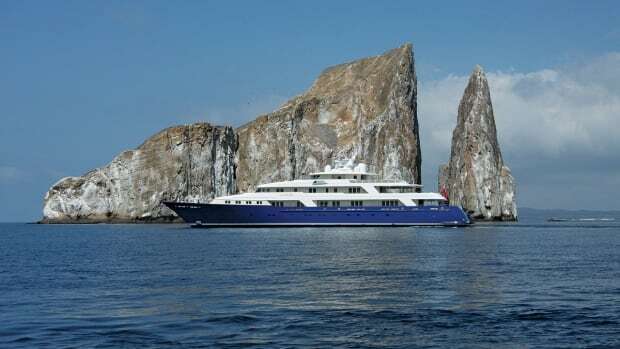 When Sunreef Yachts announced in September that it plans to build a 170&apos; power catamaran, the trend of building ever-larger cats with luxury charter amenities did more than make another leap in volume. 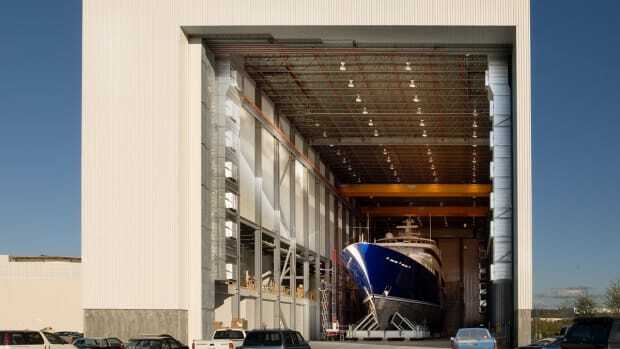 It also made a major stride toward changing the heart of the megayacht charter market. Traditionally, catamarans have been the staple of just one charter destination: the Virgin Islands. 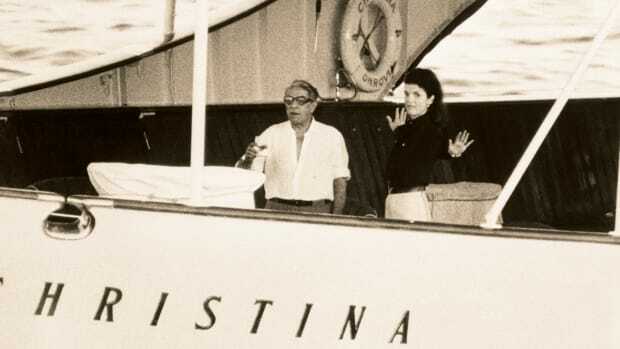 Dozens upon dozens of 40&apos; to 60&apos; cats line the marina cays and dot the harbors, welcoming parties of six to 10 guests with more interior volume and deck space than any monohull of similar LOA could ever hope to achieve. At charter boat shows on Tortola in the British Virgin Islands, the catamarans have become so ubiquitous that chancing upon a monohull is like spotting a leopard in the wild. And while there are a handful of power catamarans in the mix, virtually all of the boats are rigged with sails—keeping fuel costs low, making all-inclusive rates possible and attracting a specific breed of charter clientele. 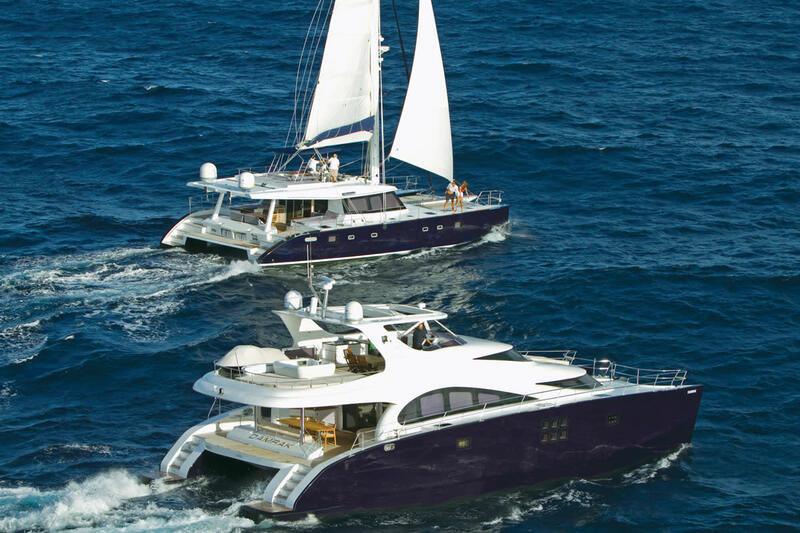 Large sailing catamarans now available for charter include the 76&apos; sisterships Akasha, Zingara and Kings Ransom, which cruise in the Virgin Islands and the Northern Caribbean. They’re joined in the Leeward Islands by the 95&apos; Blubay Rafoly, while the 75&apos; Privilege Matau offers luxury charters in the Windward Islands. Matau’s sistership Lady Alliaura is another recent addition to the sailing cat Caribbean charter fleet. Sunreef’s 102&apos; Ipharra and 114&apos; Che made their way across the Mediterranean last summer as Nicholson Yachts was promoting the 138&apos; sailing cat Douce France, which is headed this winter to Thailand and the Andaman Islands. 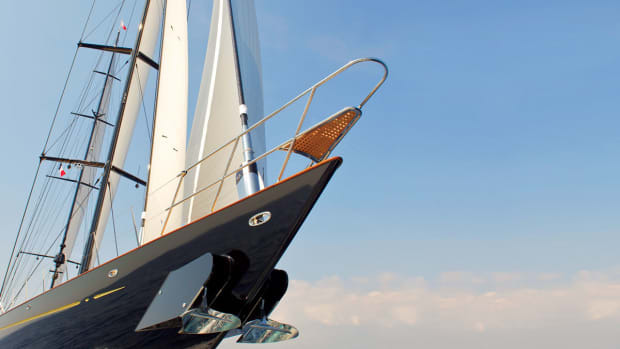 Burgess Yachts recently added to its website the 144&apos; Hemisphere, the world’s largest sailing cat, due to launch in spring 2011 at Pendennis and then charter in the Mediterranean. 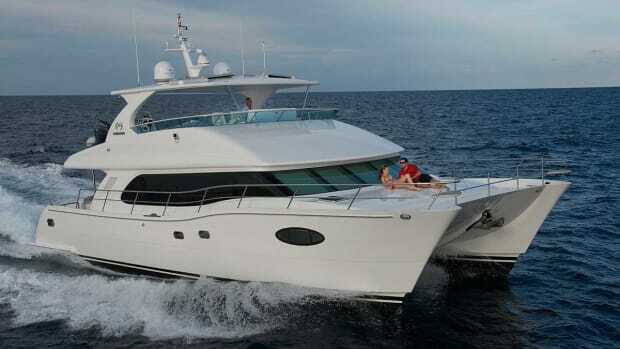 Not to be overshadowed by cats with sails, the large power catamarans for charter now include the 86&apos; Bel’Mare, which has firmly planted the multihull flag in Fiji with help from Auckland-based management house 37 South. 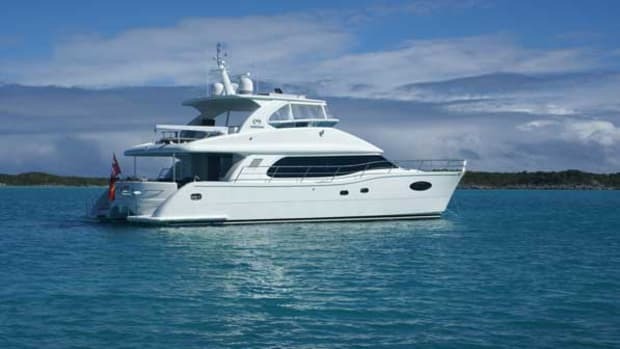 Sunreef has two 70&apos; powercats, Damrak and Sea Bass, available in the Caribbean this winter. The 138&apos; Forgacs Seafaris is available for charter in Australia as part of the Burgess Yachts fleet, while the 150&apos; Oceanfast Moecca welcomes guests in Southeast Asia as part of the Fraser Yachts charter division. Pricing alone may help push large catamarans even further into the global charter scene. Because cats have such wide beams, interior volume and expansive deck space, they can accommodate more guests than their monohull brethren of similar size—which means they can charge as much as monohulls much larger in LOA, power and sail alike. The 75&apos; Matau, for instance, charters at a weekly base rate of $39,000, which is comparable to the rate for the 100&apos; Holland Jachtbouw sailing yacht Sapphire. 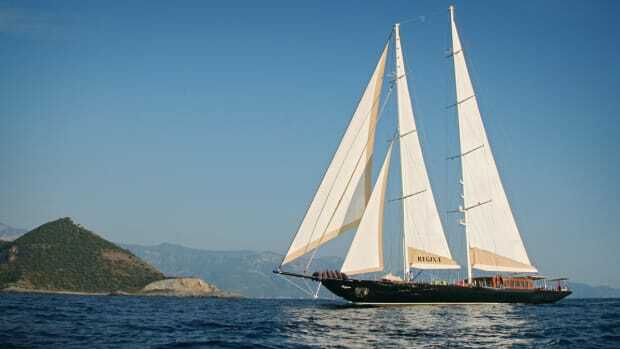 The 102&apos; Sunreef Ipharra goes for about $72,000 per week, on par with the 130&apos; Alloy sailing yacht Huckleberry. 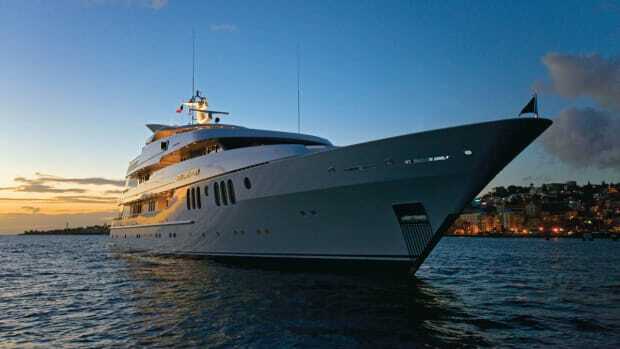 The 150&apos; Moecca has a $195,000-per-week base rate, putting her in the same charter league as the 163&apos; Feadship Inevitable. Some owners aren’t waiting to find out. Sir Richard Branson, whose monohull adoration is well documented in the global media with every America’s Cup event he attends, instead chose a 105&apos; sailing catamaran as his personal, multimillion-dollar refit project. Necker Belle now books at a lowest weekly base rate of $95,000 during the winter season and at a lowest base rate of €65,000 during summers, when she is promoted through Burgess Yachts in the Mediterranean in the most popular ports from Antibes to Monaco. 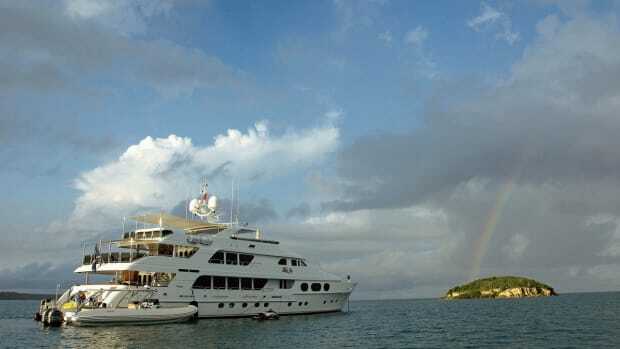 Branson not only wanted a yacht he could offer to his clients for charter in tandem with vacations on his Necker Island retreat in the Virgins, but also a yacht that offered large guest cabins, expansive outdoor decks, easy water access and all the other attributes that are now helping catamarans win the hearts of even the most diehard sailors.